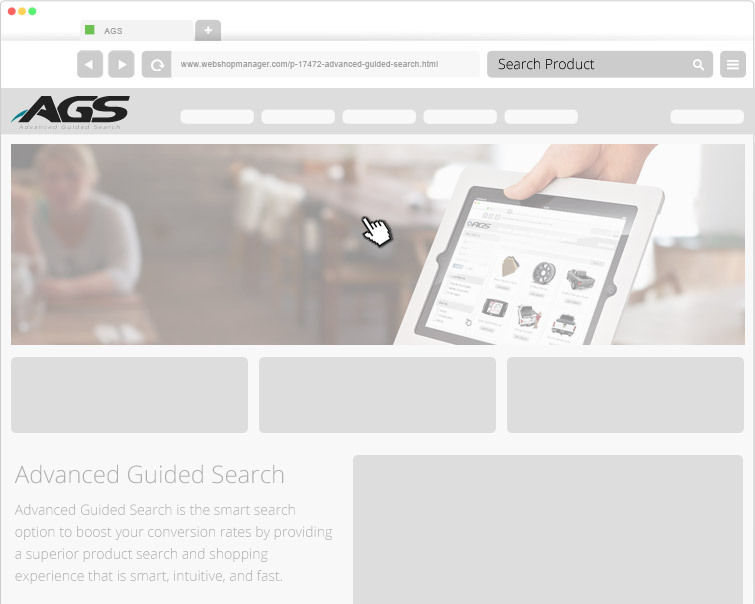 Advanced Guided Search is the intelligent search platform that will boost your conversion rates by providing a superior shopping experience which is smart, intuitive, and fast. 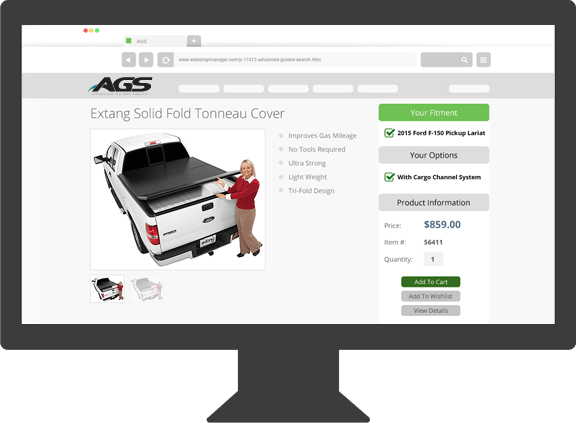 Most buyers aren't leaving your site because of price, but rather they can’t find the products they are looking for. 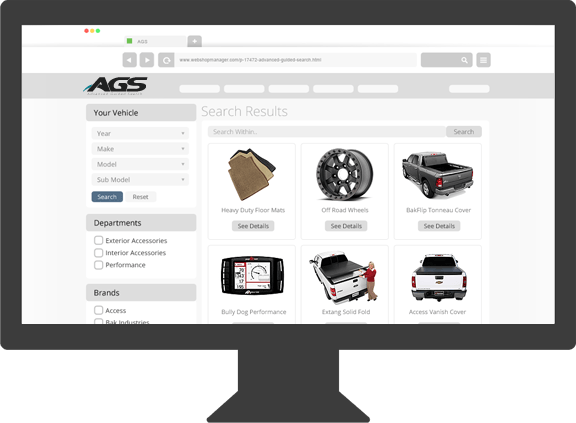 With Advanced Guided Search (AGS), your customers can drill-down to their own personalized product results page with user-friendly attribute filters such a Year-Make-Model, Brand, Category, Product Qualifiers, Etc. 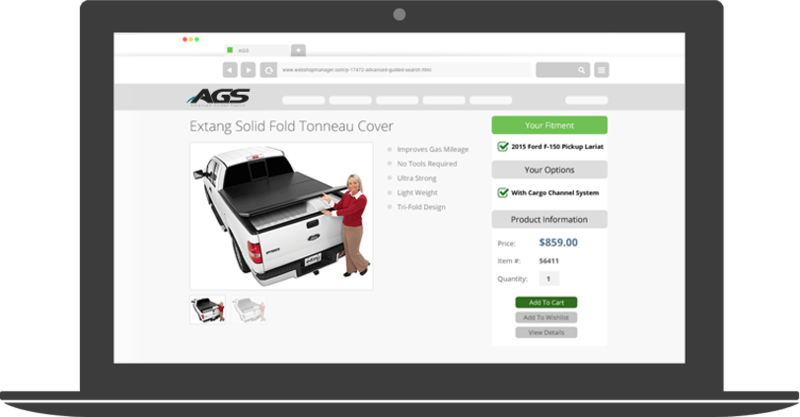 Your customers can become confused and overwhelmed sifting through hundreds or even thousands of SKUs in each category. 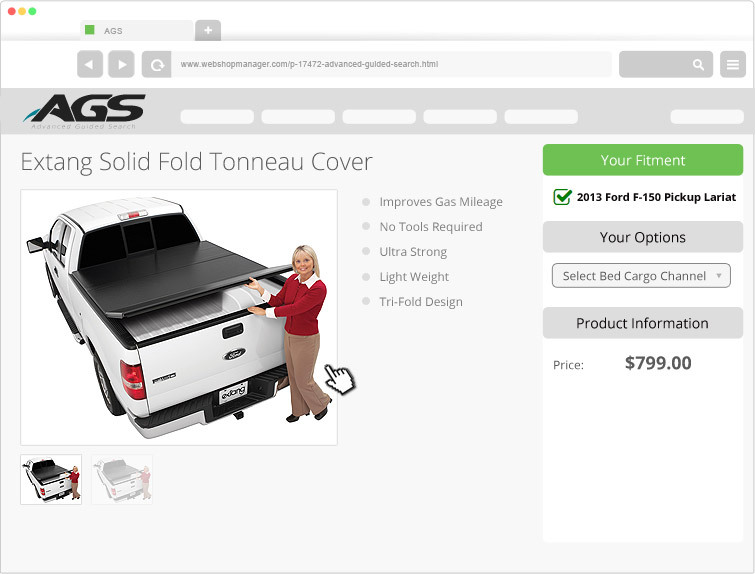 With Product Groups (Series), individual SKUs are unified by name allowing your customers to compare features and benefits without having to enter their vehicle, once they have decided which product they want to purchase then they can verify fitment with ease and buy. There is nothing more frustrating for your customers than trying to find what they are looking for and coming up empty. 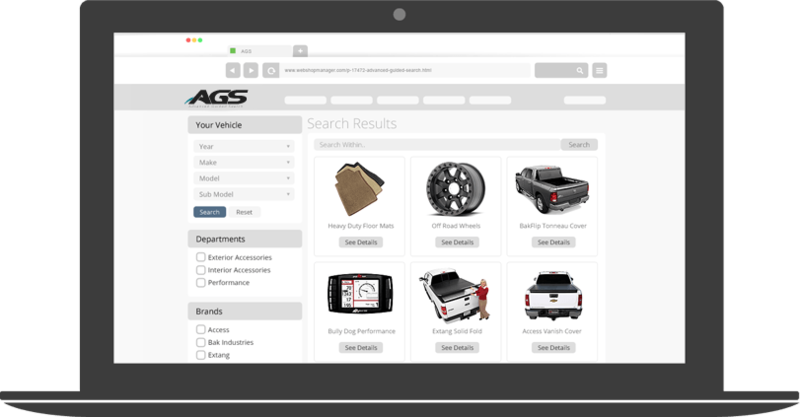 AGS provides a smart keyword search, similar to Google. 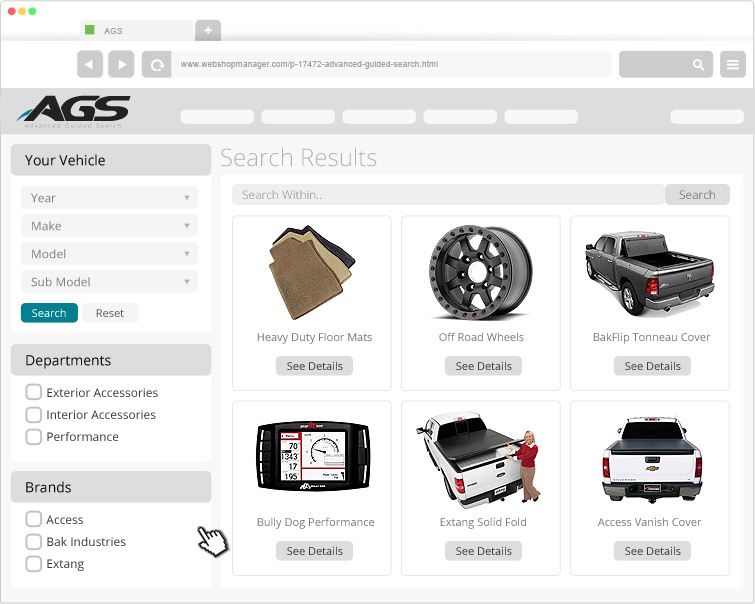 Your customers simply begin typing what they are looking for into the search bar and product suggestions are displayed automatically. 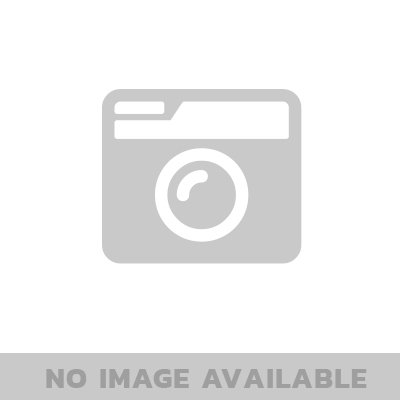 Sort your results by Best Match, Price, Date, Etc. 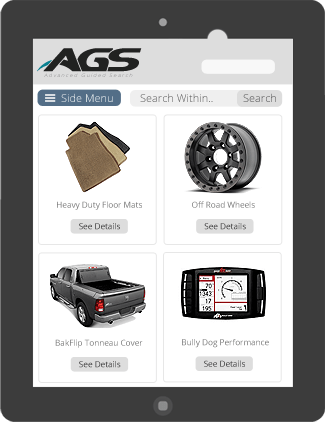 Using the "Mobile First" methodology we created the Responsive AGS User Interface around cell phones first then build up from there to accommodate all devices. 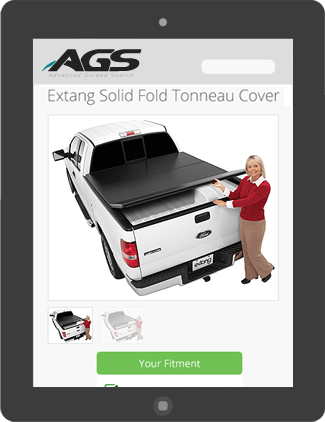 Please fill out this short form to recieve more information, see a demo, or just to speak with an representative about AGS.